On January 28th, Mark Allen will present his talk “New Directions in Nanotechnology, Or: How Can Universities Compete In This Brave New World of Nanotech?” This talk is sponsored by the Research Office and is the first in the Colloquium Series: New Directions in Nanotechnology. This series is an opportunity to facilitate inter-disciplinary discussion about nanotechnology and the strategic possibilities the University’s new Nanofabrication Facility will offer. 10:00am at Trabant Theatre with refreshments in the lobby at 9:45am. For many years, the strategic pathway for university micro- and nanofabrication facilities was clear: do what Intel does, but one or two generations behind. This very successful strategy has led to the university-initiated growth of many new fields: e.g., new CMOS architectures, MEMS, and advanced-material-based electronic devices such as solid-state lighting. However, as these areas become successively more commercialized, many universities find they cannot compete with the very industries they have spawned to create the latest research results. Thus, as we move deeper into the 21’t century, university nanotechnology facilities are beginning to look more like nano-maker spaces than process lines, with the need to accommodate exotic materials, develop ‘one-off processes and even fabrication tools, and focus on device or system performance rather than quantity of producible die. This approach will be illustrated by means of the presentation of three research projects that exploit these new directions: ultracompact energy conversion devices based on nanolaminated magnetic metallic alloys; permanent and biodegradable implants for monitoring chronic and acute conditions within the human body; and the microfabrication of proteins to produce artificial biological constructs. Mark G. Allen received the B.A. degree in chemistry, the B.S.E. degree in chemical engineering, and the B.S.E. degree in electrical engineering from the University of Pennsylvania, Philadelphia, and the S.M. and Ph.D. degrees from the Massachusetts Institute of Technology, Cambridge. In 1989 he joined the faculty of the School of Electrical and Computer Engineering, Georgia Institute of Technology, Atlanta, ultimately holding the rank of Regents’ Professor and the J.M. 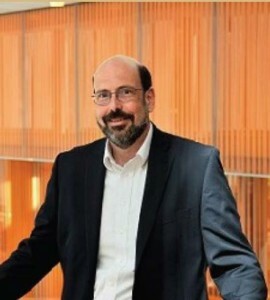 Pettit Professorship in Microelectronics, as well as various administrative posts, including Senior Vice Provost for Research and Innovation and Director of the Institute for Electronics and Nanotechnology, In 2013 he returned to his alma mater to become the Alfred Fitler Moore Professor of Electrical and Systems Engineering and Director of the Singh Nanotechnology Center at the University of Pennsylvania. His research interests are in the development and application of new micro and nanofabrication technologies, as well as MEMS. Dr. Allen has held the posts of Editor-in-Chief of the Journal of Micromechanics and Microengineering, co-chair of the 1996 IEEE MEMS Conference; and co-chair of the 2012 Power MEMS Conference, He has also co-founded multiple MEMS companies, including Redeon (sold to Biovalve Technologies in 2001), Cardiomems (sold to St. Jude Medical in 2014), and Axion Biosystems (Atlanta, GA). He is a Fellow of the IEEE.